Alexis (Lexi) Johnson has been found safe! Lexie was found just a few moments ago. She is back home and is safe. Praise the Lord she is back home. Lil’ Miss Madelyn Galvin arrived last night! Mom and baby are doing good. Prayers were answered, she was breathing on her own. Danielle and Madelyn will stay in the hospital for a while, but they are doing well. Charlie Beal went in to surgery around 8 AM this morning and he is now in recovery. The surgery went well and they did not have any issues. He should be out of recovery around 6 – 6:30 PM. As I know more, I will keep everyone posted. By the way, he talked about how much he loved the people of Powhatan this morning before he went into surgery. Chris had his hip surgery this morning and is back at home resting. The surgery went well, and he’ll likely sleep most of the evening. Please pray for his pain not to be too severe, and a swift recovery. Lara is out of surgery and doing ok. Please continue to pray that the results come back negative. Thom came through his surgery yesterday and received great news today – the mass they removed from his pancreas was not cancer after all! Joyce is recovering after having a pacemaker put in. She is improving, and could be moved to a regular room in the next day or two, depending on her progress. Please continue to pray for her and her family. Welcome the new baby Oliver. 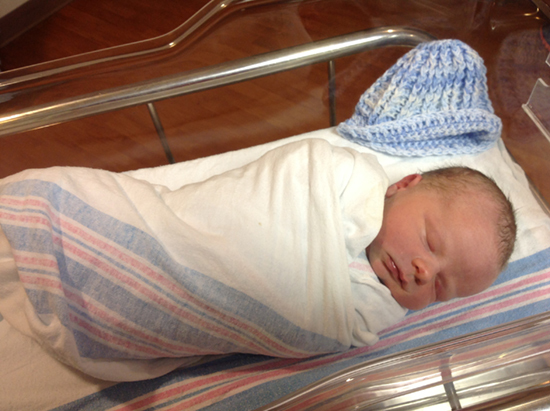 Jenson August Oliver was born today [August 10] at 10:45 am. He weighs 8 lbs 12 oz and likes to eat! Mama and Papa are extremely happy and relieved that he is here safe and sound. Big sister Jackie has been informed, but we do not know her opinion yet concerning her new baby brother…we’re sure they’ll get along just fine. Surgery went well. All is good, we’re at home doing fine. Thanks for all the prayers. Sue went to the doctor today and the results are she is cancer free. Thanks to you all for your prayers since August when her battle with cancer started. We are so blessed to have such a loving and caring church family. Keep the prayers coming as she has a long way to go but God is with her every step of the way. Marshall came home this evening. He has to go to the VA for more tests this week.